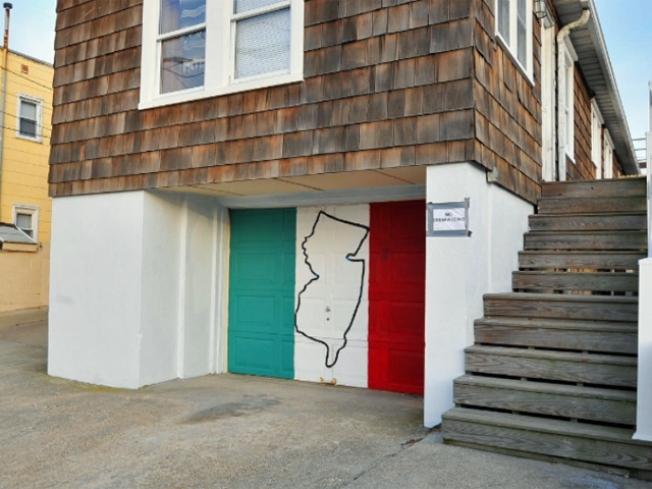 For a mere $3,500 a night, you too could live the life of the guidos and guidettes of MTV’s infamous reality show Jersey Shore. But the $3,500 a night is only one of the starting prices, and you’ll have to bring your own hair gel and swim -- or Hazmat -- suits. Priced at as much as $15,000 for a three-day weekend over the Memorial or July 4 holidays, some lucky group of people gets this palace for paisans fully furnished with a phone that quacks like a dying duck, worn-out couches and egg-shaped deck chairs. Up for rent on the Seaside Realty’s Web site, the six bedroom, three-bath house, only has rental availability until July 15, though. Representatives for the home’s owner told the Star Ledger that this means MTV may still rent the house out for next season’s show. The hot tub is gone, but mourn not -- its absence may be saving you from a health hazard, considering the biological waste that the warm bubbling pot seemed to collect in the early morning hours last summer. This fortress of wood paneling is ready for anyone in need of the MTV self-named guidos’ experience.